Thor must prevent Ragnarok, the apocalyptic destruction of Asgard. For decades, comic book fans complained that Hollywood wasn't taking their favourite characters seriously. DC fans were at least sated by high quality productions like Richard Donner's Superman and Tim Burton's Batman, but their Marvel cousins grew increasingly irritated with a series of cheap as chips TV movies and a few disastrous Fantastic Four attempts. Eventually, Marvel took things in their own hands and their fans finally got the screen treatments of their beloved heroes they had been calling out for. When Joe Johnston's Captain America: The First Avenger was released in 2011, many fans complained about its light Boys' Own adventure tone, and similar complaints greeted Shane Black's Iron Man 3 a couple of years later. Cut to 2017, and Marvel have essentially fully embraced the sort of comedy that initially irked their fanbase, and ironically, it's the Captain America movies that now skew closest to 'serious' territory. The three movies released by Marvel this year have all been primarily comedies. Spider-Man: Homecoming won over the many doubters (myself included) who have now reached the point where watching Marvel movies feels like homework (for me, they've become the brussels sprouts on the plate of cinema). Here was a movie that seemed to answer all my complaints about Marvel movies - it had a hero you could identify with, a proper villain with understandable motivations, and its climactic action sequence didn't run the length of a football match. Guardians of the Galaxy 2 was more of the same however, a bloated bore packed with unfunny gags, a muddled plot and no tangible sense of peril. Thor: Ragnarok falls in to the GOTG camp, delivering more of the Marvel monotony I've grown so tired of. In what seemed like a bold creative move, Kiwi comic auteur Taika Waititi (What We Do in the Shadows; Hunt for the Wilderpeople) was hired as director, but bafflingly, not as a writer! No surprise then that the few laughs to be found in Thor: Ragnarok come in the form of visual gags, as Waititi plays around with the silliness of the space opera format, veering into Zucker Brothers territory in the movie's most humorous moments. However, for such a talky movie (this has to be the talkiest superhero movie to date, and it's telling that all three of its screenwriters come from TV), the dialogue is nowhere near as witty as it needs to be, with most of it simply spelling out the film's plot, which is relatively simple but is made a lot more complicated than it needs to be. There's a sequence in which Thor (Chris Hemsworth) and the Hulk (Mark Ruffalo) are stuck in a room together trading insults that seems to play for a good half hour, and I found myself wishing for the return of Black, or even Joss Whedon, or here's a crazy idea - let Waititi write the bloody dialogue! The cast commit themselves fully, but save for Hemsworth, everyone is wasted here. A largely unrecognisable Cate Blanchett has fun hamming it up in full Gale Sondergaard mode, and pokes fun at Trump with her dialogue, labelling any annoyances as 'sad' and 'fake', but her material simply isn't strong enough to exploit her talents, and she's ultimately another weak Marvel villain. The casting of Jeff Goldblum feels cynical, as though it were felt his unique charisma would be enough to carry a dull character. Tessa Thompson's drunken Valkyrie is given a hilarious intro, but she quickly fades into the background. The most impactful character is Korg, an alien made of rocks and voiced by Waititi himself, whose comic timing helps his performance steal the show. 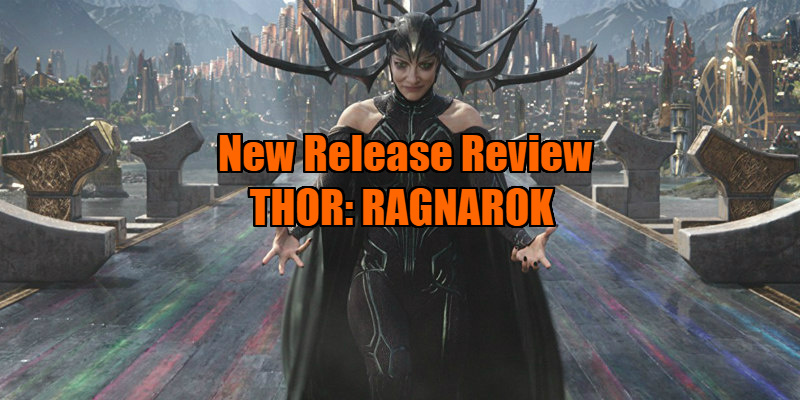 As has become customary, Thor: Ragnarok is another overlong blockbuster that makes us wait until its climax for an action set-piece, and it's another bloated mess of CG. If you've somehow made it to this point in the Marvel franchise (I would have bailed out long ago given a choice), none of this will likely bother you, but for the rest of us each subsequent Marvel movie increasingly resembles the experience of watching three episodes of a mediocre sitcom followed by a wrestling pay-per-view. 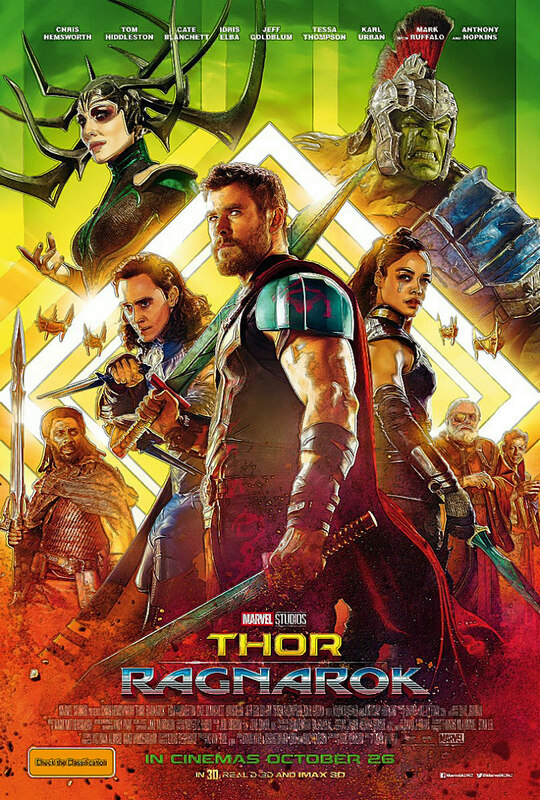 Thor: Ragnarok is in UK/ROI cinemas October 24th.